The former Clinton strategist thinks he has something to offer the Democrats. The Democratic party has held the House for four of the last 23 years and the Senate for 12 of those 23. While Democratic presidential candidates have won strict majorities for seven of the last eight contests, they’ve missed the White House on two of those occasions due to sloppy, awful campaigns. Now, one of the failed architects of the political ideology—the kind of man that got the party to where it is today—has a lecture to give to the masses. Mark Penn’s op-ed, “Back to the Center, Democrats,” was published on Thursday in The New York Times. It was written with Trump supporter Andrew Stein. In the piece, Penn and Stein exhort Democrats to tilt to the right in order to start winning elections—as if that’s not what put them in this hole to begin with. Much has already been written about Penn’s piece. “Don’t listen to Mark Penn” reads Sarah Jones’ piece in The New Republic. “Mark Penn’s Bad Column Also Makes No Goddamn Sense” says Alex Pareene at Fusion. 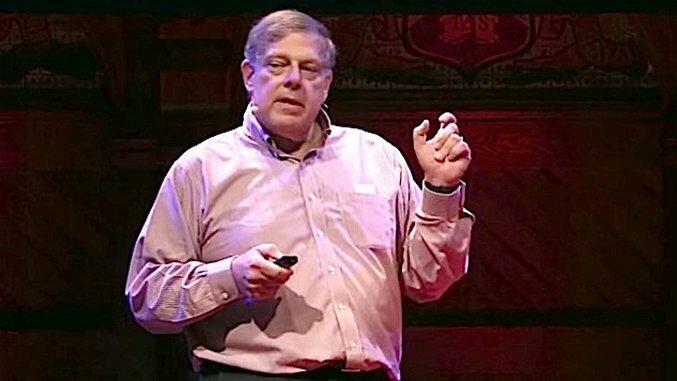 “Clinton Strategist Mark Penn Pushes Democrats to Move to Center — And Quietly Profits From GOP Victories” reports Lee Fang at The Intercept. They’re right. Penn has no right to talk to the audience of the Times—or anyone, really—about anything related to politics. The reason for his total lack of credibility dates back to 2008. Penn was Hillary Clinton’s campaign chief strategist during her doomed primary run against Barack Obama. Faced with the unforeseen strength of Obama’s campaign, Clinton’s camp decided to run on a mix of her “experience,” manufactured victimhood, and barely veiled racism (the latter was encouraged, of course, by Penn). It didn’t work. Penn’s mistakes, blunders, and utter disasters of strategy were numerous. But there are two in particular that come to mind for the mind-blowingly ridiculous ineptitude that Penn showed while in charge of the campaign. In 2008 there was a serious debate over a free trade deal with Colombia that President George W. Bush had approved earlier in the year. It was a big issue on the trail and one that Obama exploited as he signaled his opposition to the deal early in the race—though he would, of course, sign the finished version in 2011. Clinton came out with her stated opposition to the deal as well. But only a day earlier, Penn had back-channeled a meeting with the Colombian ambassador to the United States. Bad enough that he took this meeting as Clinton’s chief strategist, right? Not even close. Penn took the meeting not as a representative of the campaign but rather in his capacity as an executive for the public relations firm Burson Marsteller. The purpose of the meeting? To help the Colombian government lobby for passage of the bill his boss had just publicly decried. The fallout was rapid. Penn and his firm lost their contract with the Colombian government on April 5 and Penn lost his job with the Clinton campaign on April 7. But the damage had already been done. And the full scope of his destructive tenure became apparent a month later. It came to light in May 2008 that for the entire primary, as Obama continued to build a sizable delegate count to challenge Clinton, Penn wasn’t worried. Why not? He didn’t understand the mathematics of the primary process he was in charge of strategizing for. Penn’s belief that the Democratic primary system was a winner-take-all delegate race was one of the most colossally stupid blunders in modern American history. He didn’t understand proportionality. After his ejection from the campaign, Penn went on to cash out on the work he did, failing all the way up into millions of dollars. All this despite the fact that Penn’s political strategy—again, the very skill he was being paid for—was a complete disaster. Imagine, if you will, being hired for a job where your sole position is to provide expert advice in how to win. Further, imagine that you take actions for your own self-interest that are diametrically opposed to the person you are working for that could be the most powerful person in the world. And imagine if, some six or so months into your job, it becomes clear that you have absolutely no idea how the score is kept and how you are supposed to gain an advantage. This is the man who presumes to tell the Democratic Party how to win elections.